Wonderful home located on aprox. 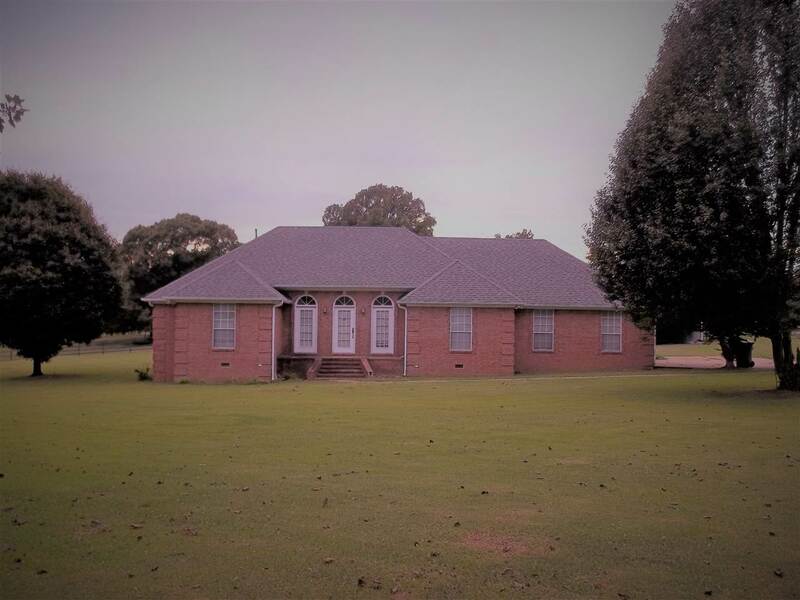 4 acres with beautiful mature trees, 3 bedroom 2 1/2 baths. Beautiful entry w/ lots of windows and hardwood. Big great room with fireplace, Great eat-in kitchen with island & lots of cabinets &Formal dining room. Huge master bedroom with luxury bath, jetted tub, separate shower, his & hers sinks, big walk in closet. Split bedroom plan. Nice Covered back porch. Big Work shop & detached carport. Pasture is iron fenced. 5 stall barn w/ tack- room & hay loft.